Carlisle Funeral Home, Inc. is committed to the community in which we serve. Therefore, we have planned our third annual Christmas Memorial Service with a message of love, hope and support to heal in the days ahead. We realize that this time of year can be difficult for many who have suffered the loss of a loved one. We had such a great response in the previous years that we would like to welcome you, your family and friends to join us at Carlisle Funeral Home on Tuesday, December 11, 2018 at 6:30pm to honor all those that we have lost in the past year. Pastor Sammy Wood will be officiating the Celebration of Life Christmas Memorial Service. We hope that you are able to attend as Carlisle Funeral Home and staff pays tribute to your loved one. In addition, we invite you to reach out to your neighbors or anyone you may know who has recently suffered a loss to join us in support of one another. 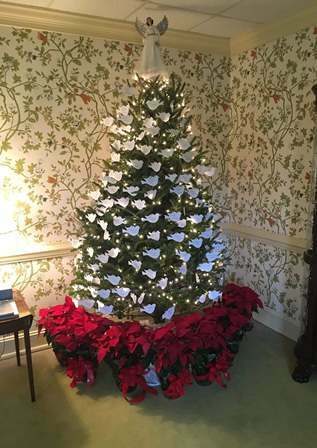 There will be a dove tree set up in the lobby with the names of loved ones who passed between December 1, 2017 and December 1, 2018. If you would like to take a dove home, please ask a member of our staff and we would be glad to assist you. We would like to thank you for trusting in us to care for you and your family in your time of need. We look forward to seeing you as we come together to support one another as a community. We wish you and your family a safe and Merry Christmas and the Happiest of Holidays.